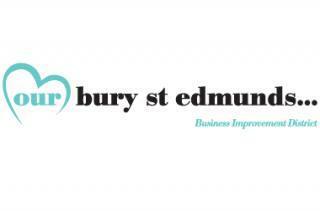 Bury St Edmunds’ Business Improvement District (BID) organisation says latest figures show there is still reason for optimism in the town centre despite a recent run of national news stories about retail names closing elsewhere. Latest footfall figures for May show visitor numbers to the town centre increased by around 10,000 during this month, compared to the same period last year. And the figures aren’t just because of special events at weekends, almost every day of the week has seen the town centre busier than it was at the same time last year. During May 2018 nearly 401,200 visited Bury St Edmunds town centre compared to just over 391,600 in May 2017. Chief Executive of the BID organisation Our Bury St Edmunds, Mark Cordell said: “It’s encouraging to see these figures on a day like today when the news is full of a prestigious name in retail closing stores. We know that trading conditions for many businesses are becoming increasingly difficult but we hope to build on these figures. Our Bury St Edmunds has a number of initiatives this summer which it hopes will encourage more visitors to the town. During the first week of July it will be promoting independent businesses with its annual ‘Independents Week’ campaign and later the same month a town centre art trail commemorating 100 years since the end of the First World War will go on display. In August it holds its annual town centre Food & Drink Festival. The Our Bury St Edmunds footfall figures are calculated based on an entry point to the town on Abbeygate Street. They are compiled for the BID by Springboard. Selling a range of BMX and skate clothing, including hardware and accessories.